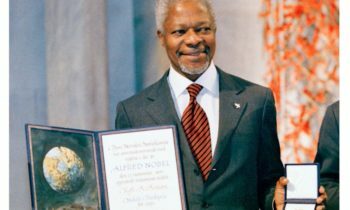 The Norwegian Petroleum Directorate (NPD) has eulogized the late former United Nations Secretary General, Mr Kofi Annan for his role in linking Norway and Ghana to help make Ghana’s commercial oil declaration since 2007 a blessing. Speaking to the Graphic Online after interactions with a delegation of Ghana’s Petroleum Commission delegation to the ONS 2018 in Norway, the Senior Advisor to NPD, Mr Svein Helglund said back in 2007, the late Kofi Annan called the Norwegian Ministry of International Development and added his voice to that of former President John Agyekum Kufuor seeking assistance in oil governance. The Chief Executive Officer of the Petroleum Commission (PC), Mr Egbert Faibille Jr., is leading a trade mission to the ONS-2018 in Norway as part of efforts to tap into best practices in upstream oil and gas activities. 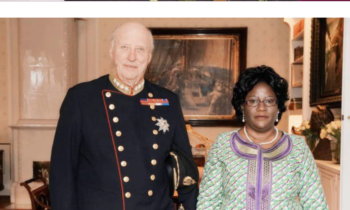 According to Mr Helglund, the request to the NPD which is a specialised governmental directorate and administrative body in Norway, had since led to collaborations resulting in several sharing of experiences with Ghana. He said if there is any gift the people Ghana and the managers of the country’s oil and gas resources wish to give to the late Annan and former President Kufour, it should be the prudent management of the oil resource which they were passionate about. “Ensure good law and regulatory framework to ensure that the oil which belongs to the people is managed on their behalf and for the owners to derive maximum benefit”, he said. Again, he said the industry should ensure transparency in licensing, contracts and in the disbursement of revenues accruing from the oil sector. Mr. Helglund said through the efforts of the two statesmen, Ghana has made huge strides in capacity building with closer collaboration with the Norway after the oil discovery. On the part of former President Kufuor, he said he was very proactive to approach Norway for some assistance on petroleum governance as well as presided over a national forum which resulted in the early phase of cooperation which has been continued by succeeding governments. He later took the delegation through the Norwegian assistance to Ghana, which is dominated by the Oil for Development (OFD) programme launched in 2008, comprising two five-year collaboration agreements signed at the end of 2010 on resource and environmental management. 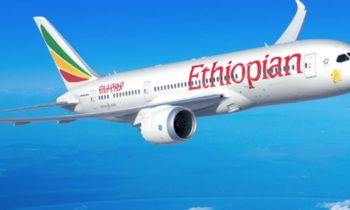 In addition, the Sintef research foundation had a three-year deal covering petroleum-related business development and a separate programme on revenue management. 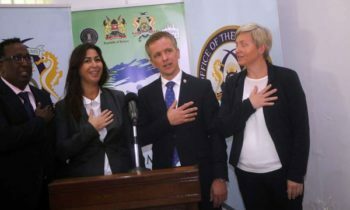 Again under the relationship, about 10 Norwegian public bodies were involved in Oil for Development, noted the NPD’s Leif Erik Abrahamsen, coordinator of the resource management programme which resulted in the development of new petroleum legislation for Ghana. The collaboration has also led to the clear establishment of Ghana’s own needs and in ensuring that Ghanaians acquire practical ownership of both the product and its implementation.